This weeks themes have really pretty much been Haven on Netflix, Gloriana's 'A Thousand Miles Left Behind' album & blogging (the week ending with me starting abeautifulmess' blog life course). The best way to describe Haven is; Warehouse 13 & Supernatural crossed with a Stephen King novel. It's freaking awesome! The show is actually based on a Stephen King novel & it seems to have all the classic Stephen King themes: nutters, a New England town, division, supernatural powers & weird stuff that leaves you going "whaa????" This show makes me feel so much better about my inability to read Stephen King novels or watch Stephen King movies without having horrifying nightmares. This is not that scary (no worse than Supernatural) & is epically cool. It is - embarrassingly - my new favourite show. TV is going to have to get really good to knock this one out of top spot. When I've not been watching Haven or asleep, I have been listening to Gloriana's 'A Thousand Miles Left Behind' album. This isn't exactly a new obsession, I've been loving the album for quite a while now. Every song on there (other than 'Wanna Take You Home') has instantly become one of my all time favourite songs & the mix of upbeat songs & ballads is so perfect. It is one of the few albums I can legitimately listen to on repeat. As far as blogging goes, I've been trying to build in some extra content so that when I'm going to events (or the doctors) I can give myself enough time to rest without interrupting the content you get. I usually only write one post a day & I often end-up writing the posts over a few days. Yesterday I managed to write & photograph two posts! I feel so vindicated! As I said, I also got the Blog Life Course from A Beautiful Mess. I had done the old version of this course before they re-did the online store & I really wanted to do the new version as it is supposed to be considerably different. I am only a few chapters in so far & have already taken pages of notes - I may do a full review another week but generally speaking I like it so far. It is definitely different enough to the last course that I'm getting something new from it. 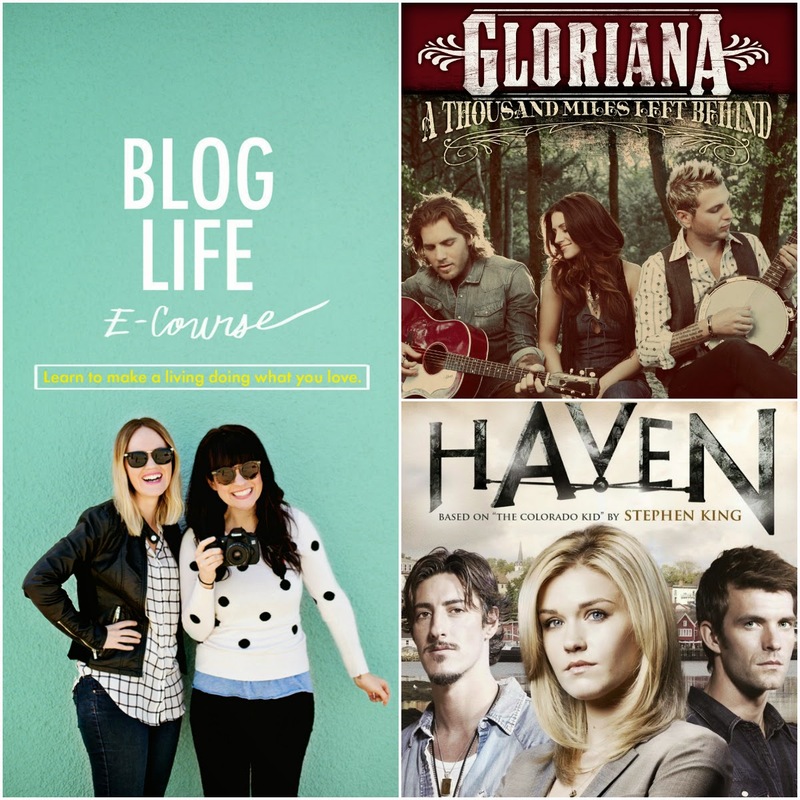 Would love to read a review of the Blog Life course :) definitely going to have to give Gloriana a listen too! I'd be interested to read a review of the blog life course too, I saw the post on their site and was interested in it then, so hearing you say you find it beneficial is great! Oh and getting two posts worth of photos done - well done you!